Famous Brandz has been blowing in the smoking space for the past few years. They just keep getting bigger and bigger it seems. Through their impressive relationships in the media industry they have been able to secure branding licenses to some of the biggest names in the smoking game including Cheech & Chong, Snoop Dogg with their Snoop Pounds line, the Trailer Park Boys, and even Jay & Silent Bob. They have been able to produce some of the coolest, high functioning glass dab rigs, classic bongs, and bubblers around. Their ability to tap into the spirt of the brands they represent are remarkable. I would not hesitate for a moment referring someone to check out their glass bongs and other smoking accessories. 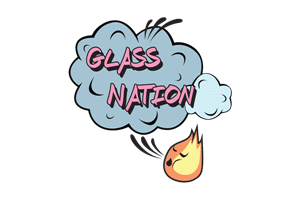 Luckily, Glass Nation has a wide selection of Famous Brands smoking gear. Lookout below for some of the coolest glass dab rigs, and glass bongs you have ever seen.